One of the most memorable aspects of any Disney trip is the food. We book our dining 6 months in advance and threaten to riot if our favorite menu item disappears. As Disney fans, we love food. 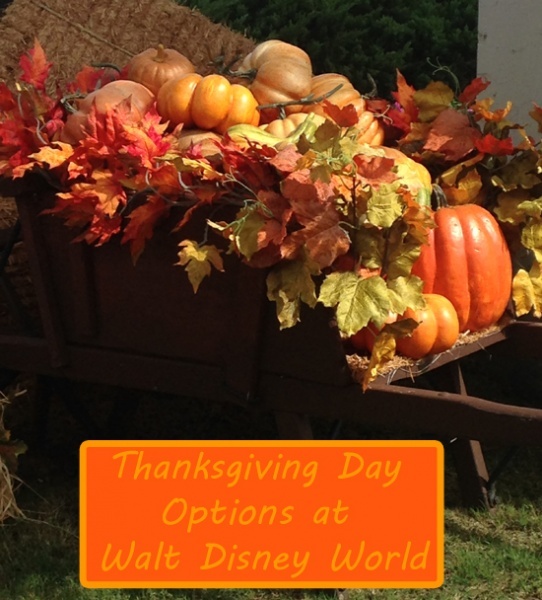 But here at The Mouse for Less we also love saving on our trips, and food is a great place to start. Finding unique breakfast items is sometimes a challenge as a vegetarian, but the Egg White English Muffin (with cheese and tomato) and Hash Brown Bites ($8.99) from the Yak and Yeti Local Foods quick service is different enough to make it interesting. 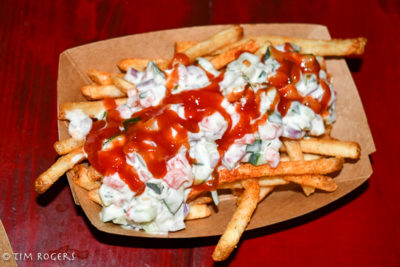 One quick note, however – one of my main lines of advice to vegetarians or really anyone at Disney is to just ask for alterations to menu items because they typically are great at accommodating. One thing you might not realize is that not every dining location in a Disney park is actually run by Disney. Yak and Yeti is one of the few exceptions. (It is run by Landry’s). I bring all this up, because on my last trip when we went to get breakfast there we tried to order and item on the menu without the meat on it and were told by the cashier that the restaurant didn’t make any alterations to any items. (She also had some dietary needs and said they wouldn’t even do it for her). That isn’t to say not to go there, but just be prepared to only order exactly off the menu. One bonus of that interaction, is that the Cast Member recommended that we actually just buy a Kid’s Meal since they had some extra options and were a really good value because they included hash browns and a drink. So, if you aren’t 100% happy with the listed menu items as-is, you can always check out the the kid’s selections. During my last trip to Walt Disney World, I finally got to try Mr. Kamal’s. 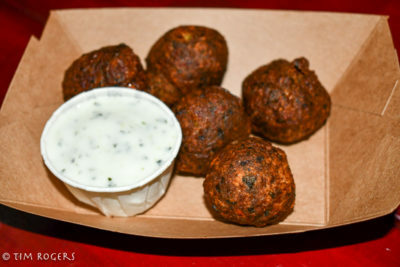 It had been on my list for a while since I love me some falafel, but I just hadn’t had the need to eat there with my new affinity for Satuli Canteen (as well as several strategically placed trips to Sanaa). If you aren’t familiar with Mr. Kamal’s, don’t feel bad. It’s a completely under the radar quick service location in the Asia portion of the park that subscribes to the idea of doing one thing but doing it well. The food portion of the menu is only three things, but all of them are vegetarian friendly, and any combination would make for a tasty and filling meal. I would personally go with the Falafel ($5.29) and Seasoned Fries (which are topped with Tzatziki Salad and Sriracha Ketchup – $5.99). This as a meal is filling enough that I actually split it with my wife and we both felt like we got enough. 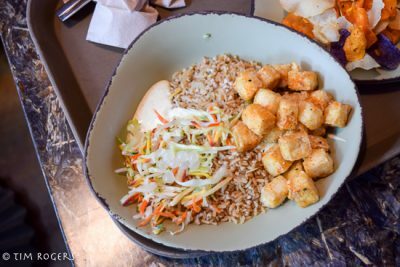 It is hard to overstate the impact that Satu’li Canteen has had on dining options at Disney’s Animal Kingdom, especially for vegetarians. Before it opened, the quick service options for vegetarians were…less than exciting. 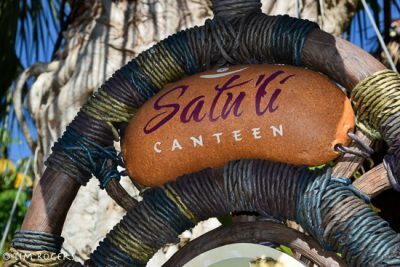 With Satu’li Canteen, we now have an option that is not just passable, but worth the trip all on its own. 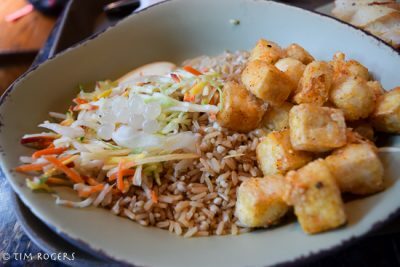 If you have not yet had the pleasure of dining there, the bowls at Satu’li Canteen Entree bowls with Crispy Fried Tofu ($12.49) are served with a choice of base (quinoa and vegetable salad; red and sweet potato hash; mixed whole-grain and rice or romaine and kale salad) and sauce (charred onion chimichurri, black bean vinaigrette or creamy herb dressing). At this point, I think I have tried nearly every combination of these bases and sauces with the Crispy Fried Tofu and they have all been excellent. If I was going to choose one, I would probably select the mixed whole-grain and rice with the creamy herb dressing, but you really can’t go wrong. And that’s a wrap! Thanks for coming along on my journey to dine for $33 a day at each park, and stay tuned – we might soon venture outside of the theme parks and see what vegetarian bites we can find. 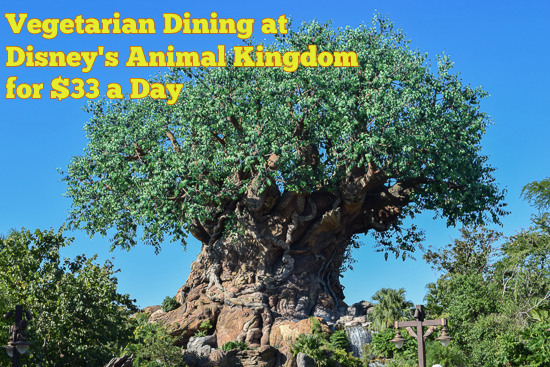 What choices would you choose at Disney’s Animal Kingdom, dining as a vegetarian? Let us know in the comments below or on Facebook or Twitter! I’d love the vegan version of this article, but any veg is better! Thanks!